Design thinking is a human-centered approach to problem solving that begins with developing empathy for those facing a particular challenge. It serves as a framework that helps to define problems, empathize with others, develop prototypes of possible solutions, and hone those prototypes through multiple iterations until they have generated a viable solution to the challenge at hand. Design thinking encourages a bias toward action and, because of its reliance on rapid prototyping, frees practitioners to embrace the notion of failing forward because it's OK to make mistakes -- that's where breakthrough ideas are born. While a growing number of schools around the world are using design thinking in classrooms and empowering students to solve authentic challenges as part of an inquiry-based curriculum, this powerful process can also be used to improve the overall school experience. Many successful businesses embrace design thinking to improve their products and enhance their customers' experiences to great effect. Why, then, would we not do the same with our schools? 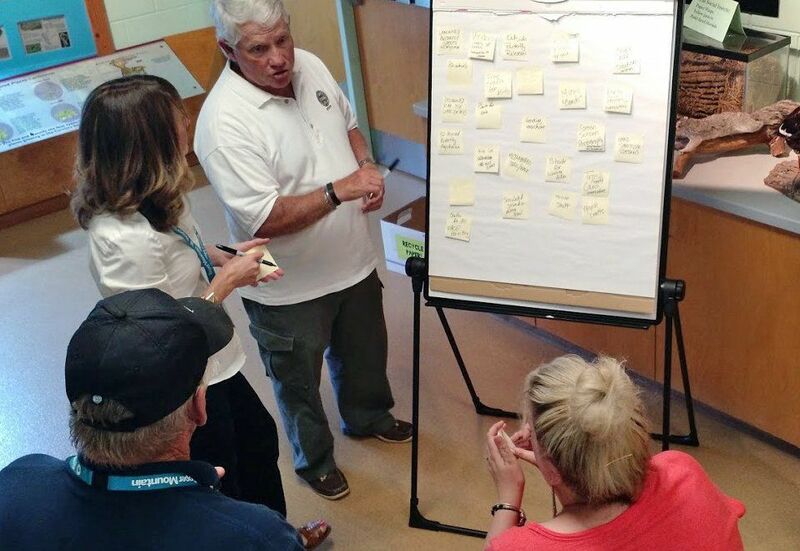 As a school administrator, I've seen design thinking effectively used to improve daily operations as well as enhance both the in-class and out-of-class experiences for teachers, students, and parents. Using the five main stages of the design thinking process, I'd like to share some ways that we've been able to create better experiences for all of our stakeholders. Empathy is the foundation and the heart of the design thinking process. Everything else is built upon it. Empathy is a powerful tool to develop an understanding of others' needs, requiring us to look beyond ourselves and see the world from someone else's point of view. Every day, we create experiences in our schools, whether in classrooms, on athletic fields, or even in the cafeteria. Yet how often do we stop to think how our users (our students, parents, teachers, and anyone else who comes in contact with our campus) are receiving those experiences? As a staff, we focus on how best to meet all of our users' needs, from the lessons we teach to the traffic flow in our parking lots to our responses to visitors on our campus. While schools often teach students to develop an understanding of viewpoints that aren't like their own, why don't we focus on demonstrating that same understanding toward our students, our colleagues, or the parents whose children we teach? Honestly seeking to understand their situation can change our perception in such a way that we're better prepared to meet their needs. When problems arise in our schools, it's easy for many of us to give our two cents about how it should be handled. After all, we're highly-educated, intelligent people with frequent opinions about how things should be done. How often, though, do we ask the opinion of those who are actually having the problem? So when the new discipline policy isn't working or the parent pick-up line is regularly backed up, we're missing an opportunity to create a better solution if we don't seek input from all involved. In design thinking, establishing a clear definition of the challenge at hand requires seeking the input of those who are being directly affected. That means listening to the parents, students, or teachers involved so as to understand their point of view as well as including them in the process for designing the solution, or at least providing feedback on it. Clearly defining the problem gives you a better chance at creating a clear solution. This user input is essential not only for helping clearly define the issues that are affecting them, but also for guiding the development of solutions to those problems. Once we understand their needs, we're better equipped to meet them. During the ideation (or brainstorming) process, we often work in teams that represent all of our staff members (teachers, custodians, bookkeepers, etc.) to rapidly generate as many solutions as they can to the problems we're addressing. We frequently ask them to take a "blue sky thinking" approach and suggest ideas in which the sky's the limit and money is no object. Frequently, these ideas that lie outside of the box of our normal thinking yield innovative solutions. Once we've identified our most actionable solutions, we hone them into prototypes that can be tested. Whenever we institute a new idea or policy, be it a curriculum change or a procedure for loading and unloading busses, we consider it a prototype that's subject to revision instead of an edict that's written in stone. Understanding that prototypes may go through multiple iterations before a final product is produced encourages a mindset that's flexible, agile, and willing to work through the problem until the best result is obtained. So if input from teachers, students, and parents reveals that the new dress code has some flaws, instead of doubling down, we modify and revise based on their feedback until we develop the strongest solution. Involving your stakeholders can create not only stronger buy-in, but often stronger ideas as well. The final stage in the design thinking process involves testing your prototype to determine what works and what could be improved upon. As previously mentioned, we strive to be flexible when rolling out any new initiative. Too often, if a new idea doesn't work flawlessly right out of the gate, it's quickly labeled a failure. When this happens (and it will), don’t think of it as simply failing, think of it as failing forward -- an outlook which recognizes that if you don't give up, if you learn from the mistakes made, you're better positioned to create a stronger solution next time. Make your course corrections based on observation and feedback, then roll out Version Two. While many schools are having great success with design thinking, enhancing students' learning by equipping them with a proven process for meaningfully applying their knowledge and skills, we should also examine how that same process can be used for improving the overall effectiveness of our schools. If you're interested in learning more and are seeking a group of practitioners well-versed in applying design thinking to all facets of education, join in the conversation on Twitter at #dtk12chat. I also welcome your thoughts in the comments section below.